In today’s edition of cable ratings we want to take a look at a pair of series in Sharp Objects and Floribama Shore that, when you think about it, really couldn’t be more different. One is a scripted limited series with awards aspirations, while the other is mostly an exercise in ridiculous as you watch people try to party it up in the south. Let’s start here with Sharp Objects, as the heavily-promoted Amy Adams series generated in total 1.5 million live viewers for the premiere in live+same-day viewing. With repeat viewing for the day and early HBO GO / HBO NOW numbers factored in, the number rises to over two million. This was the most-watched new series premiere on HBO since Westworld back in 2016, and that is a testament both to Adams’ star power and also the promotional efforts of the network as a whole. As for Floribama Shore, MTV has a lot to be psyched about as well. It feels like the series was able to capitalize on the performance of Jersey Shore Family Vacation earlier this spring/summer, as it kicked off with almost a million viewers and one of its best ratings yet. These shows are, more or less, a goldmine for MTV. They are not particularly costly to make since you’re dealing with a cast of people who are still trying to find their star power. Even though this group is in their second season now and understand fame a little bit better, they are certainly far more raw and green than the Jersey Shore crew has ever been. For those wondering, the second season of Jersey Shore Family Vacation is slated to premiere on MTV a little bit later this summer. Related – Want to get some news on the next new episode of Sharp Objects? 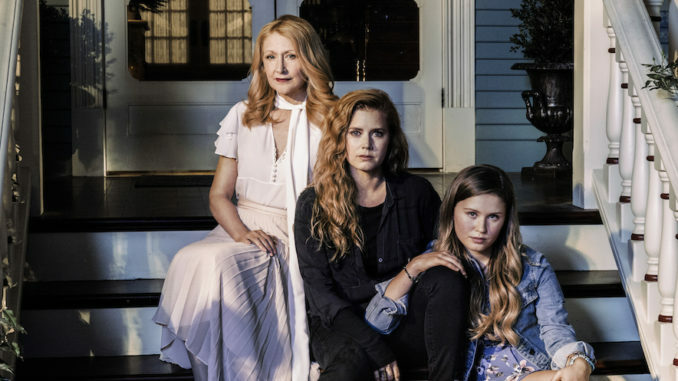 What do you think about the Sharp Objects premiere ratings? Be sure to share right now in the attached comments!